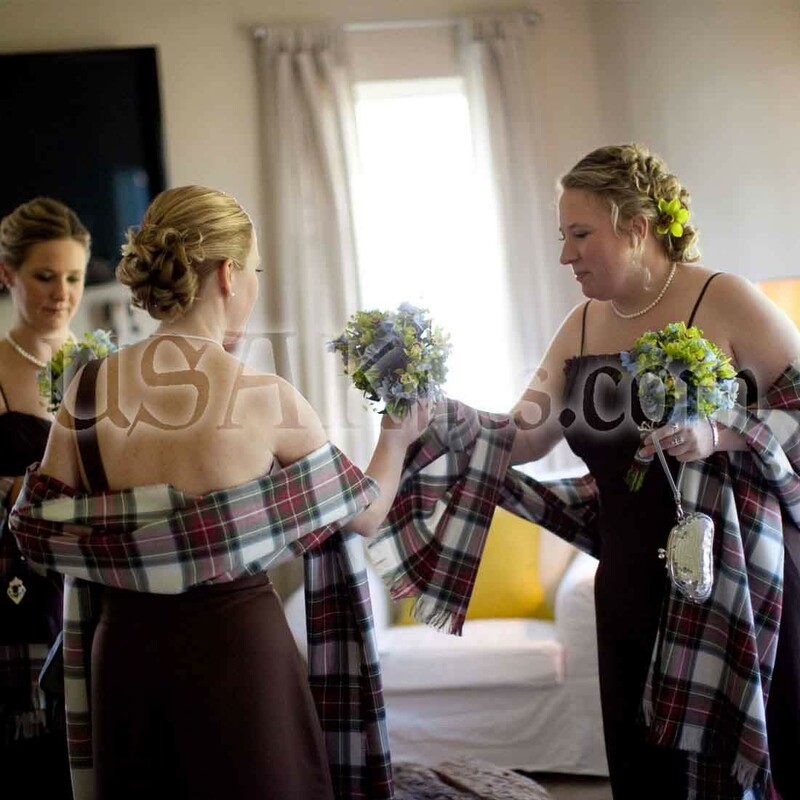 This Wool Tartan Shawl measures 24 inches by 90 inches. It comes with fringed ends (1 1/2" fringe) and sides (1/2" fringe), to allow it to more naturally drape when doubled over as a shawl collar. 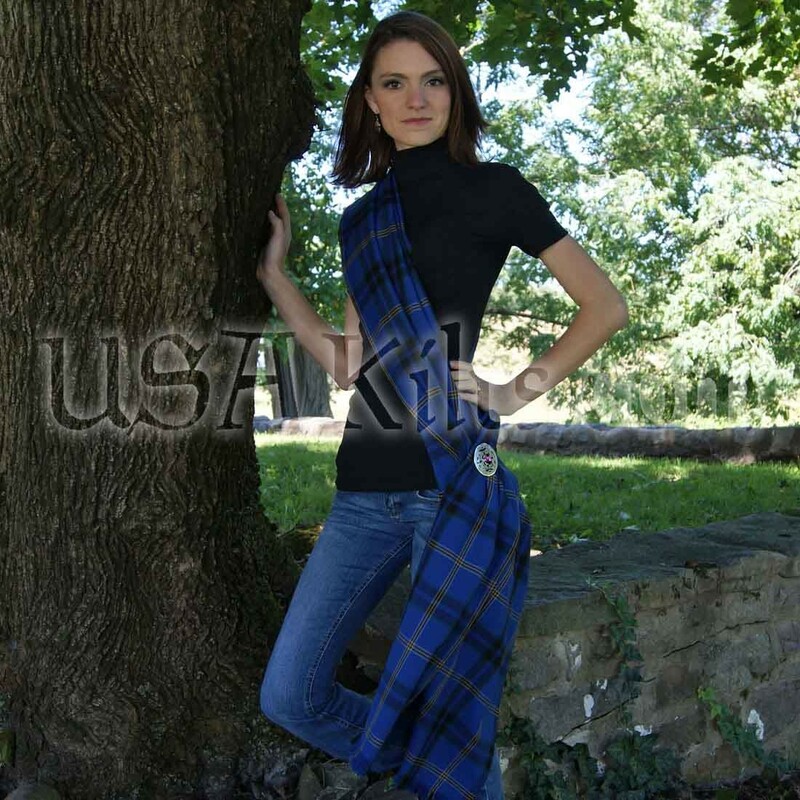 Please note: Since these sashes are made from fabric that is ordered from the UK, they will take 2 to 4 weeks to ship once your order is placed. Hope she loves it! Her family tartan in celebration of her 50th birthday. 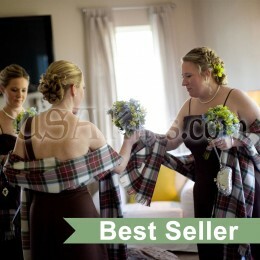 I ordered this shawl based on the small photo square of tartan provided on the website. 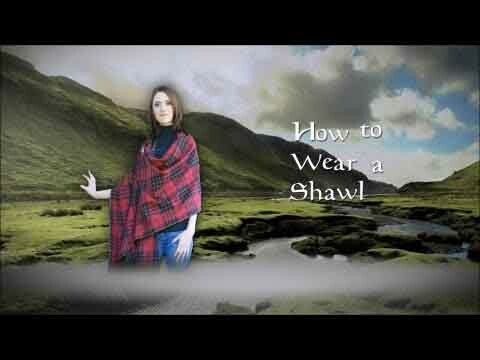 Not being able to see an example of the plaid it its entirety led to my being disappointed with the shawl when it arrived. Unfortunately, this was an expensive mistake as the company will not accept a return. I suggested to the (very friendly) rep who answered the phone that the website develop a way to see a larger example of each tartan; he stated that it would be best to order a sample swatch before placing an order. It's too bad they aren't open to making it easier for customers to know what they're purchasing; this is often a problem with ordering online. The shawl itself is nice, but for the $125 I spent I don't love it. There is a seam down the middle of it, which some might not like. This is a custom item. Since these sashes are made from fabric that is ordered from the UK, they will take 2 to 4 weeks to ship once your order is placed.